Hoorah! Final Draft of Staining the Soul off to the Production editor for proof-reading. Then off to the @RNAtweets for their New Writers Scheme for assessment and final suggestions. And then, watch this space. 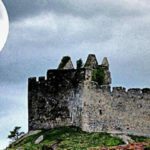 Part 2 of ‘The Wolf of Dalriada’ is now off to the Beta Readers! Phew! 80,000 words of ‘The Wolf of Dalriada – Part 2’ are now winging their way to the Beta Readers! A significant moment. But who are Beta Readers and what do they do? Brenda Pollard answers these questions clearly and my own feeling is that Beta Readers are vital to the big picture. Is there consistency even when there is change/ development? Is their speech distinct and typical of them? Do you care what happens to them? Has too much detail (research) been included? Are there any historical inaccuracies – factual; linguistic? Are any scenes or sections unnecessary or superfluous – for example, is Chapter 3 in the right place? Is the pacing is too slow/too fast at any point? Are there any plot-holes or inconsistencies? Does the story engage you? Did you know how this story was going to end? Was this a problem? Please look out for any repetitions and/or too much inclusion of first story in the series? This list may also be useful for your own self-editing. It certainly concerns itself with the bigger picture. This is called developmental or content editing and does not involve your very kind Beta Readers in proof reading or copy editing. Those are professional areas – necessary and fee-paying. Contact the Society of Editors and Proofreaders for a practitioner near you. The Wolf of Dalriada on Kindle! The Wolf of Dalriada Kindle Edition is now out on Amazon.co.uk and other Amazon outlets. Other retailers include Apple, Kobo etc. And a link appears on my book page in Troubador Books. Thank you, Troubador Books, for your support in this new adventure! I like a print book myself but having travelled a lot this summer I can see the advantage of Kindles. Carrying enough books used to account for most of my excess baggage. And it was never an easy decision – deciding what to leave. Welcome to one of my worlds! Welcome, readers and friends all, to the world of The Craig Lowrie Chronicles! The first novel in the series, The Wolf of Dalriada, has been published by Troubador Books and is due for launch on 28/11/2016. Confusingly for me, I have already sold fifty copies! Still finding out how all this works. And, when the world of marketing gets too exciting for me, I take myself off to work on the second in the series. I have not yet dreamt up an appropriate title so its current working title is MAL 2. Not very attractive but at least it’s short and easy to find on my computer. I’ve already written 35,000 words of the first draft of MAL 2 and am currently wrestling with research into bull-handling. Life is so full of interest. . .